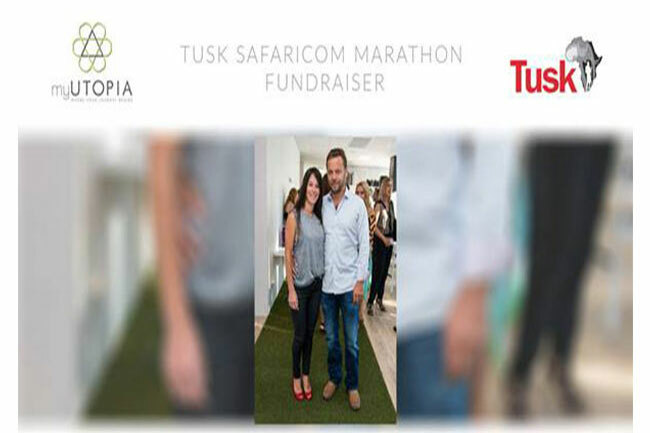 The premium Yoga, Pilates and Barre studio, myUTOPIA is hosting a Tusk yoga fundraiser in support of Candi and Bjorn Stauch, who will be running the Tusk Safaricom Marathon in Kenya on 24 June 2017. All proceeds raised will be put towards the conservation and enhancement of community livelihoods for the people of Kenya. myUTOPIA is offering a heated Bikram and non-heated Vinyasa classes together with complementary after-workout drinks and a scrumptious ‘salad in a jar’ to complete the experience. Additionally, some items will be on auction to further raise funds and guests can also expect a raffle draw with prizes to be won. Contact the studio to book your space in the Tusk Safaricom Marathon of for more information about the studio.